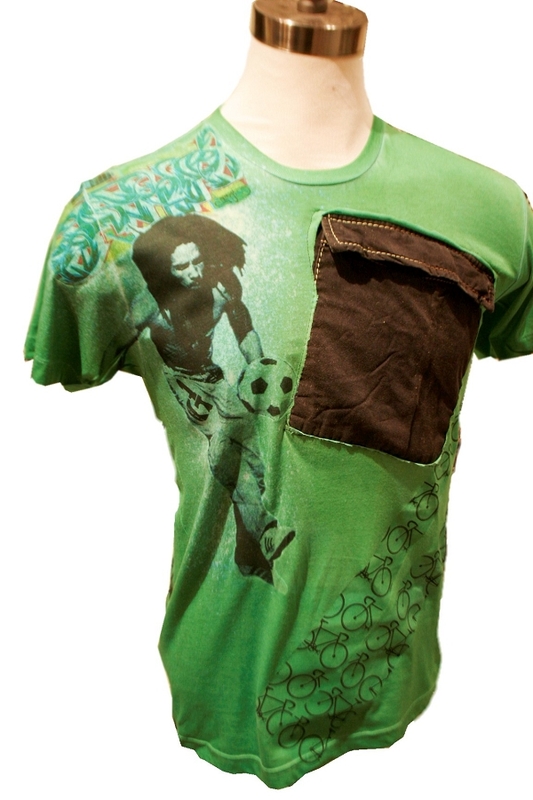 Super soft cotton lounge tee with various hip graffiti, Marley Futbol, and fixie freestyle art. This recycled poly cotton blend weave is moisture wicking and feels totally soft and vintage from the start. 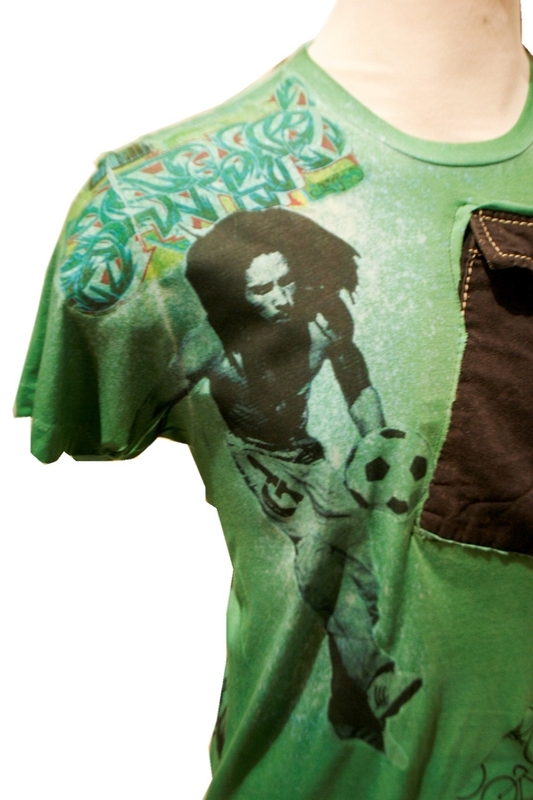 The poly cotton resist shrinkage, water, and stains as well. 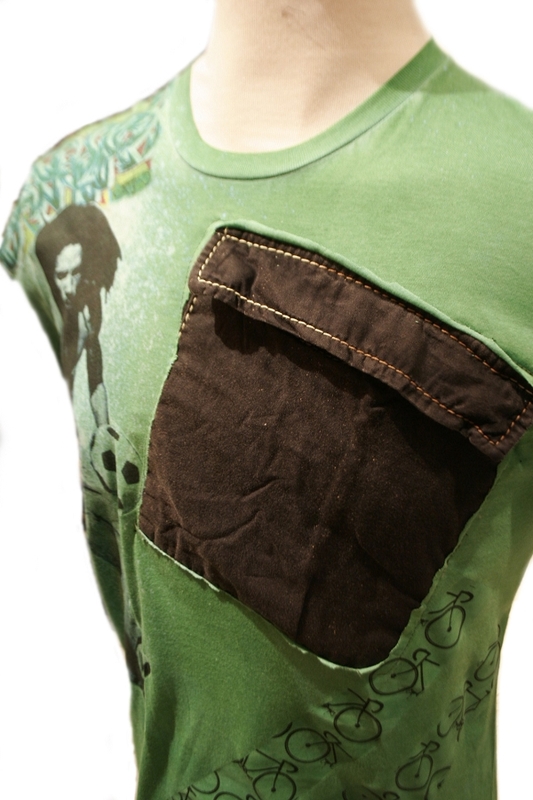 Enjoy the convenience of a nice big pocket that's always in reach and is easily accessible while riding. We like to say "Keep what's most important to you close to your heart."